I always loved a fun “gourmet”meal at home occasionally. It was a nice break in routine from the regular meals we seemed to have week to week. Sometimes those extra-special meals can be pricey as far as ingredients go. Pesto Sauce is on my list of these special ingredients, and not something I would buy just to have in my kitchen normally. 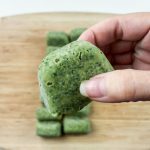 However, you can actually make your own AND freeze it, so you can easily enjoy pasta, pizza or Italian breads with pesto. Buying these ingredients separately is actually easy and affordable. If you don’t grow your own Basil at home (it actually does grow really well here in Oklahoma), just buy a handful at the grocery store or farmers market. I do mention farmer’s market as a good place to find basil, since it’s going to be fresher and probably less expensive than your larger grocers. Blend all ingredients using a food processor or blender. 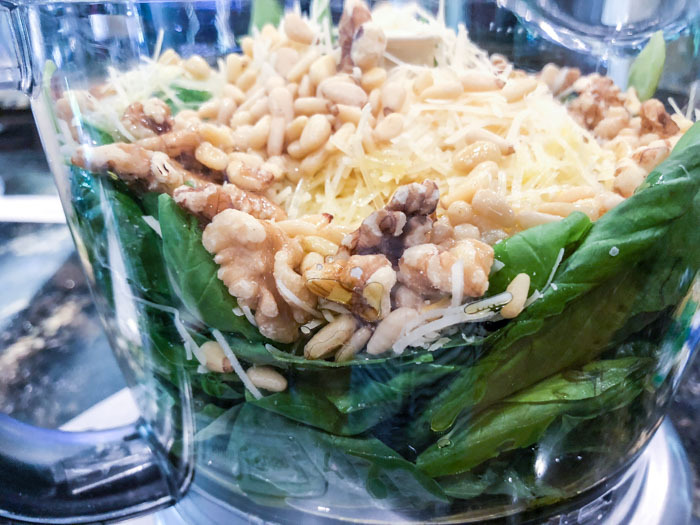 I use my Ninja Kitchen food processor and love it. I’ve had other processors in the past but this one is a workhorse in the kitchen and always blends sauces well. For this I would pulse a few times and then move to the blend setting. 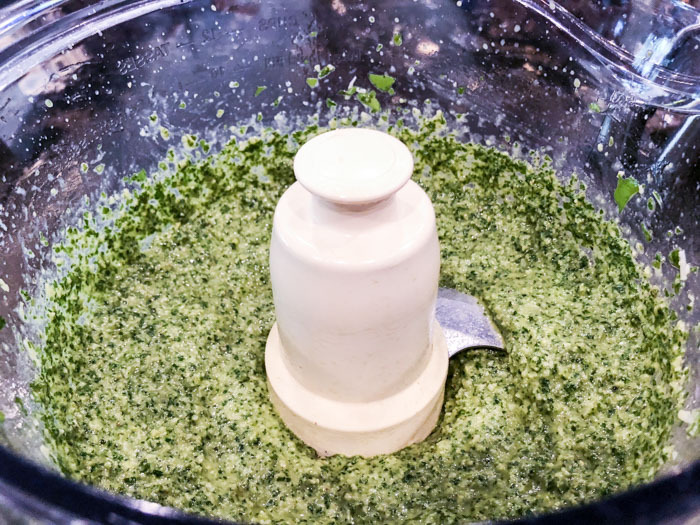 You want your pesto sauce to be uniform, so continue blending until it reaches this stage. I don’t really know if you could overly blend it. I just blend until it has a rough but spreadable consistency with no chunks of basil, pictured above. You will see small bits of the basil, and that’s perfectly acceptable. Stay tuned for ways to use my Homemade Pesto Sauce! 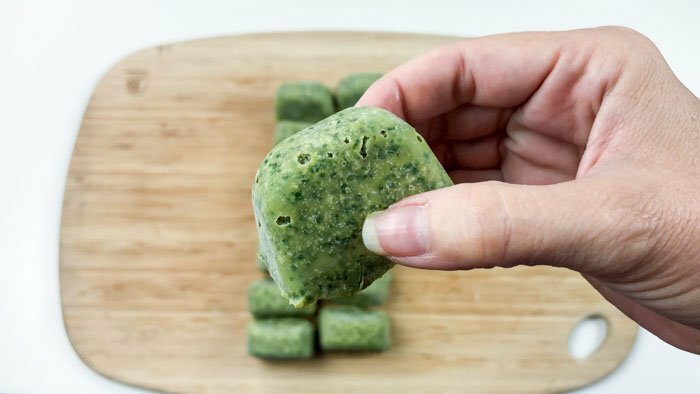 With this recipe you won’t be using all of it at once, so I recommend a silicone or plastic ice cube tray to freeze your Pesto Sauce in. I do 2 Tablespoon portions but whatever you will use at once will work. After they are frozen, it’s important to pop them out and insert into a sealed freezer bag or sealed container to avoid a freezer taste. You don't have to be a gourmet chef to enjoy Homemade Pesto Sauce! 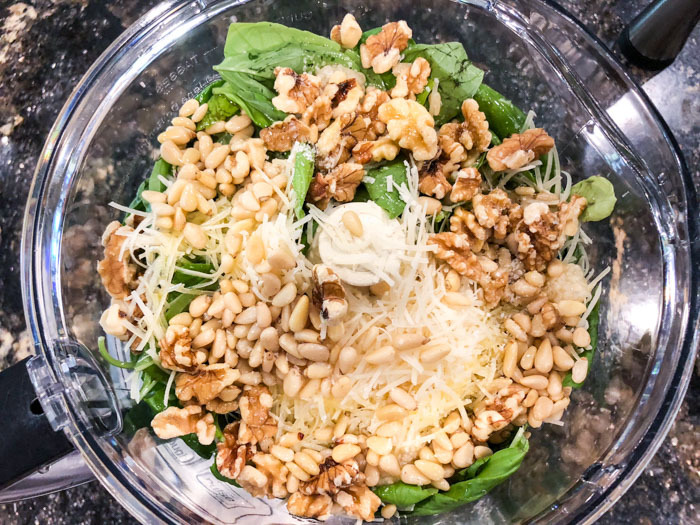 Get my Keto friendly recipe below! 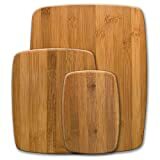 Process all ingredients in food processor until smooth, stopping occasionally to scrape down the sides of the bowl with a rubber spatula. 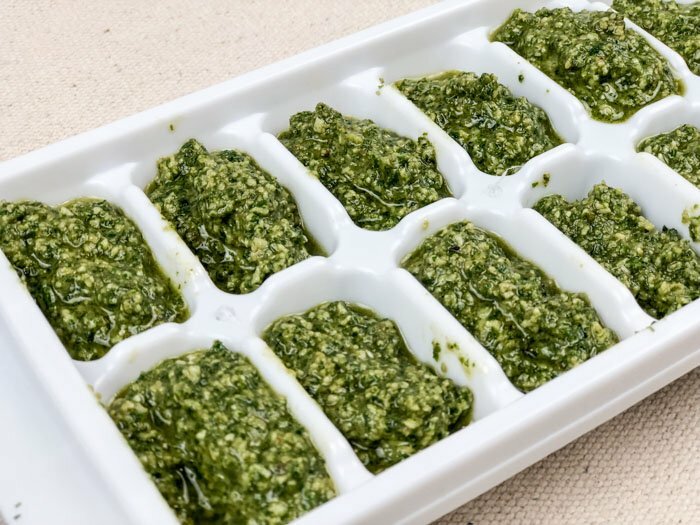 Fill an ice tray about 1 tablespoon per cube and freeze. You can also store in the refrigerator up to 5 days (float a layer of olive oil on top to prevent discoloring. 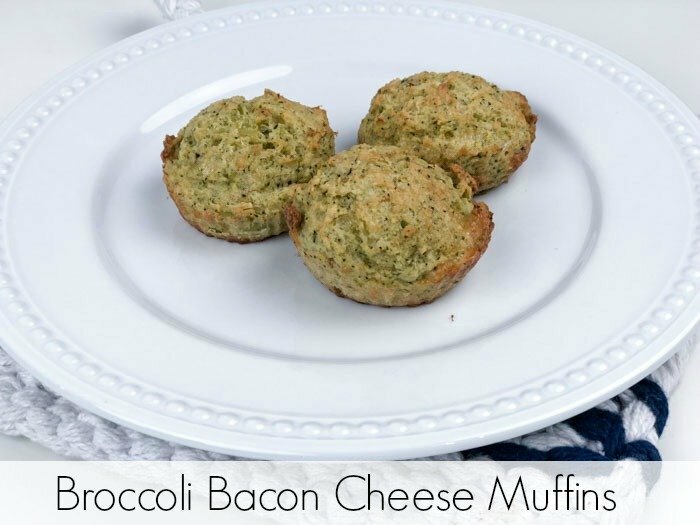 Make these Low Carb Broccoli Bacon Cheese Muffins for a great low carb side dish! Please note that sugar alcohols from Swerve are not included since most subtract sugar alcohols. We encourage readers to share recipes as long as you link back. Please do share screenshots of our recipes.